Wait–weren’t we just talking about $6.95 per month? We still are. In fact, we’re so confident that you’ll love our software that we’re letting you try it out for FREE. Simply visit our website and fill out the trial form to get started. Don’t worry–we get it. New software can be intimidating to use, carrying with it a steep learning curve. With its ‘what you see is what you get’ (WYSIWYG) layout, Fluency Now (our professional translation software,) offers a much more manageable learning curve. Since there’s still a small learning period for Fluency Now, we want you to have somewhere to turn for help, which is why we’re here. To help you get started, we’ve created a number of tutorial videos and how-to guides with simple, to-the-point steps. That means no more searching a boring manual or clicking random things until something happens. You’ll find these tutorial videos and how-to guides on our website, our YouTube channel, and on our blog. For sake of ease, you can use the links below for quicker access to these resources. For any questions relating the tutorial material, please feel free to contact our support team by clicking Help > Send Support Email from within Fluency Now, or email us directly at support@westernstandard.com. 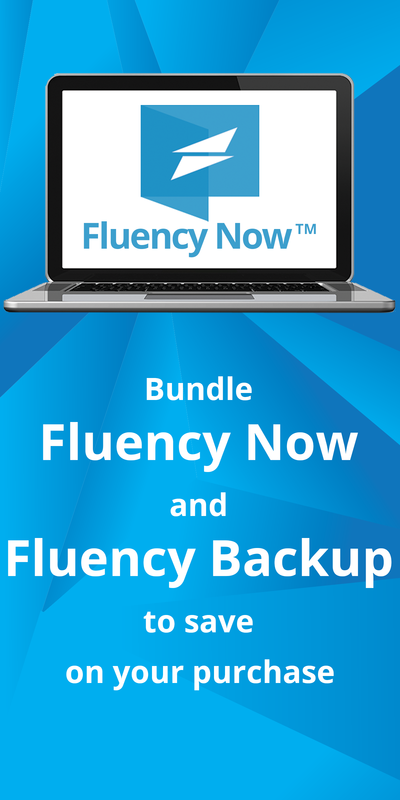 When you visit our web store, you’ll find options to order Fluency Now as well as Fluency Backup, our online backup service. At $9.95 USD/month, Fluency Now is already an incredible deal, considering the full feature set it contains, but if you order today you’ll receive Fluency Now for just $6.95 USD/month; a 30% savings each month! So, what’s not to love? Try our software today!